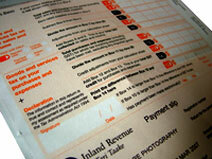 A4P Accounting Services - Accountant in Auckland - Making your Business Better! Here at A4P our business is making your business better!! We can take care of all your business needs, from providing high quality professional accounting services to creating a website that will set your business apart. We really enjoy helping out new businesses, and take pride in watching them grow and become established in the community. Whether you are a property investor, setting up a business for the first time, or are just after an accountant whose focus is making your business better, Accounting 4 Profit is for you! !